Firstly i would like to say that if you are a member of staff, please refrain from bluntly deleting my post, if it's the case of being posted in the wrong area and is considered out of context for this sub-forum, and instead that you could inform me so I can paste this in the "correct" area, thank you! So firstly, I would like to thank you for taking interest in this subject, and I will now go on to explaining the point of it all, okay so firstly, this survey was created so that I was able to get feedback from regular gamers that endure interest in multiple genre-typed games, to express their interest to a type of game, and give suggestions if they have any, this data will help me determine the game genre that is currently most wanted in the market, as you know as well as I do, if I was just to start creating a game with my team, the probability of it being successful will be very slim, as I hadn't asked gamers that play these games, what type of games they enjoy, therefore it could result in all my hard work simply being wasted as no one was interested in the game, which is why I feel like it is important to collect feedback from the people that would play these games. As of any place on forums, I have taken extra steps to ensure that irrelevant people do not participate in this forum, and by that, I mean trolls, as I simply do not have the time for them, as I said, just a precaution. I am serious about this project, and whether or not you just open up the survey to fill in what genre you enjoy most, and what you like about it, I thank you so much for that sort of participation and it helps a lot and keeps me and my team informed on what genre of game it is that you enjoy the most, and your favourite aspects of that type of game, we are aiming that our post here will attract gamers from around the world that come here, to fill out our survey as the sooner we have enough applicant's to get a base idea of what genre of game is most popular globally, we can start on the very creation of the game. Of course everyone has there different type of games, but I believe it will be obvious what type of one is most popular, of which there's a good chance the game will be based around the theme of that, however, if it is that your favourite genre of game isn't the one that is finally picked, I would like to say a very big thanks never the less for participating in the survey, it helped a lot and all of the feedback and suggestions left were appreciated, additionally me and my team plan to create a ton of games, so if your genre of game isn't the one that is in the end, picked, no fear, once that game is up and done, we will, of course, regulate it, but also begin on another project, as game-making and creating quality entertainment for you gamers out there has become something I am now passionate about providing. I apologise for the long post, however i wanted to make sure you knew what it was you were taking a survey for, and of course to then see how relevant it is to you, although the forum it is in should be obvious enough, besides this, and if you are a gamer and taking this survey is something you're considering, I'd first like to thank you for doing so, and that no personal information is required when filling out this survey, all we would ask is that you provide us with your name and country, so we can see where these ideas have come from, additionally right now there is room for opportunity to some of you to join us, if that is something you'd like, simply click yes to wanting to participate and select the role you think you specialise in, in addition to this, if you have applied for some sort of position, your email address will also become a mandatory field, if you haven't included your email for a start, there is no "efficient" way to contact you deeming your applied position, void. 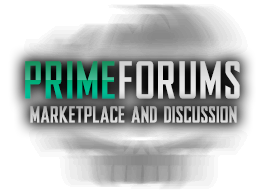 depending on the job you applied for, you will be contacted in a different format, typically with a forum to fill out, as trust amongst our staff members is something we are going to need if this project is going to take off. Thank you for taking prolonged interest in this forum, I wish not to keep you any longer and wanted to make sure you were all well informed before taking this survey if you were, now that you are, I will take no more of your time, and provide you with the survey link if it's something you want to help us with, and participate in. This survey has been tested by 25 people before-hand and ensured that it is suitable and relevant to what it is we're trying to achieve, of which i can assure you only questions that we need to know are written down there, the average completion time of these forums is 3-10 minutes, we wish only to provide you with quality content as a gamer so we'd ask if you could please spare us that time, remember, we are doing this for you, thank you. Additionally, if you are not a gamer yourself, but know of an area of interest or friends that are gamers that would be interested in this, it would be much appreciated if you could get them to fill out the survey, and with any RELEVANT questions, that they may contact me on the forums via PM if they have any concerns.